Nice break!! 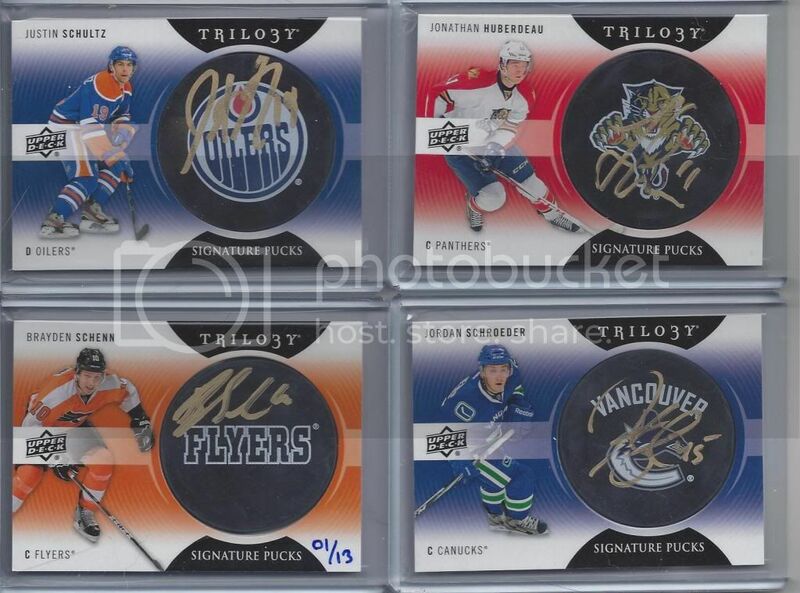 love those puck autos..
Amazing hit on the Orr! Very nice bunch I must say. Congrats! 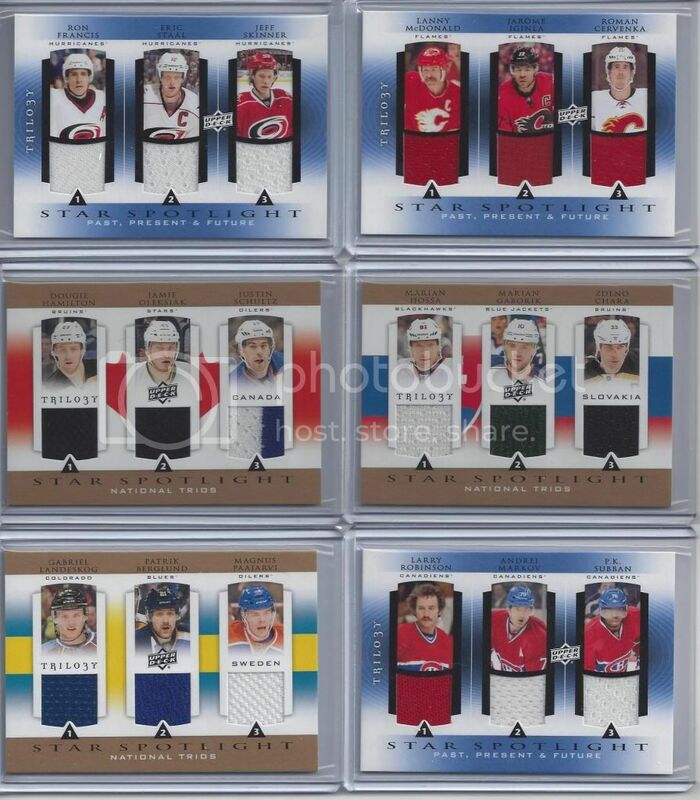 If the brodin is for trade let me know! Nice pulls. Always liked the Ice Scripts, but the down side of the set is all the smearing. Good luck with Upper Deck. 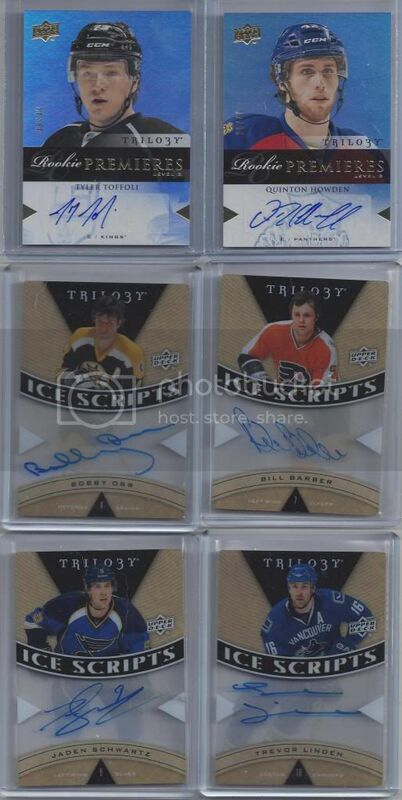 Yeah, those acetate autos aren't great. They fade over time too. Nice breaks though, if the Ryan Spooner is available, shoot me an offer for it. 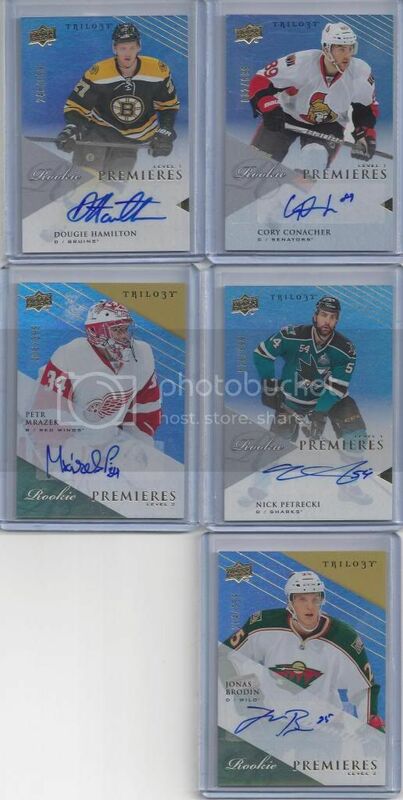 Interested in all the level 1s (except Petrecki), if they are up for sale/trade. 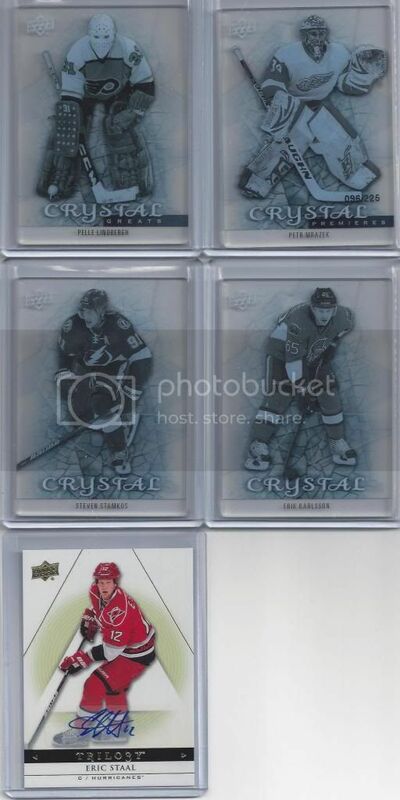 Kinda crappy that UD would allow smeared signatures into the packs.